North Adriatic Sea Port Authority on Google Maps is in Santa Marta. It is easily reachable from Venice city centre and the railway station, either walking and by waterbus (Santa Marta stop, lines 4.1-4.2,5.1-5.2 and, during some parts of the day, 6.1-6.2, too). The headquarters can be reached by car as well. In this occurance a specific authorisation must be requested, clicking this link. 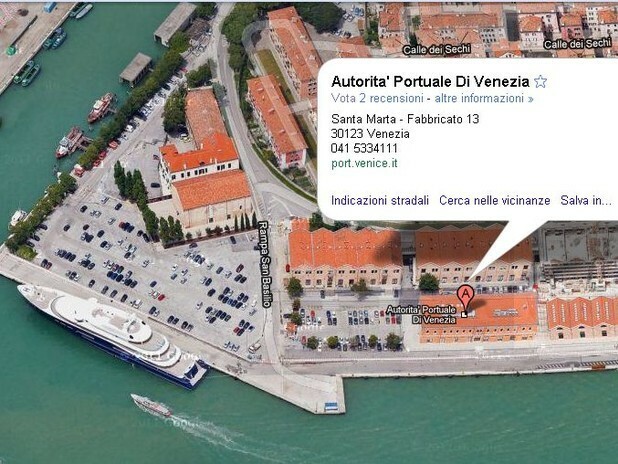 Find North Adriatic Sea Port Authority on Google Maps on Google Maps. If you are looking for the Port of Venice's operators and institutions, please browse our port directory.